For Body Waxing (arms, legs, chest and back) please make sure hair has grown out for at least 2 weeks prior to your appointment. Hair that is too short can not be removed with wax! If you arrive for your appointment, and the hair is too short to wax, you will still be charged for the original service booked. For ages 14 and under - a simple wax with minimal shaping to clean up and tame eyebrows. No student discounts or additional discounts can be used with this service. Soothing techniques utilized to minimize discomfort and redness. Hair on the chin and directly underneath removed. Hair is removed, usually starting near the ear, from the cheek area to your specifications. Includes eyebrows, lip, chin, and cheek area. Let us know exactly what you would like removed. Typically a men's service, hair is removed from the back of the neck. Includes the pectoral region, but not the stomach area. Hair is removed from the hips to the shoulders. Hair is removed from both arms from the elbow to the hand. Hair is removed from both arms from the shoulder to the hand. Hair is removed from both cheeks and in between! Hair is removed from either the upper OR the lower legs. Upper legs include from just below the knee to the upper thigh, both legs front and back. Lower legs include from just above the knee to the ankle, both legs front and back, including the tops of the feet and toes if needed. Includes both legs front and back, from the upper thigh to the ankle; tops of the feet and toes are included if needed. Have any general waxing questions? Please check out our Frequently Asked Questions page. 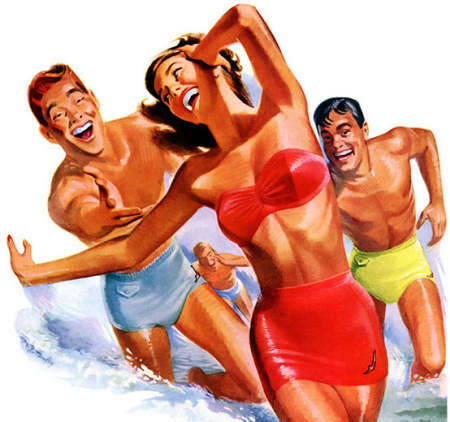 Handsome hair-free men and beautifully bare ladies always have fun!